'Amanda Owen is like a breath of fresh air. Amanda's life is one of old-fashioned values, hard graft and plenty of love. She, like her life, is extraordinary.' - Ben FogleAs seen on Channel 5's Our Yorkshire Farm. 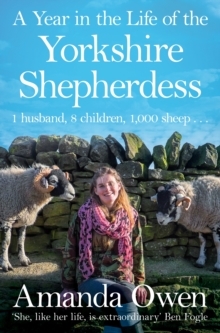 From bestselling author Amanda Owen come more tales of life at Ravenseat, the remote Yorkshire hill farm she shares with husband Clive, eight children and 1,000 sheep. 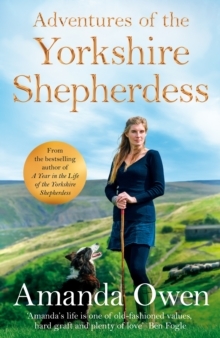 In A Year in the Life of the Yorkshire Shepherdess she describes the age-old cycles of a farming year and the constant challenges the family faces, from being cut off in winter to tending their flock on some of Yorkshire's highest, bleakest moors - land so inaccessible that in places it can only be reached on foot. Writing with her trademark warmth and humour, Amanda takes us into her life as nine-year-old Miles gets his first flock, Reuben takes up the flugelhorn and she gives birth to a new baby girl. She is touched by the epic two-day journey of a mother sheep determined to find her lamb and gives a new home to an ageing and neglected horse. Meanwhile Clive is almost arrested on a midnight stakeout to catch a sheep-worrying dog and becomes the object of affection for a randy young bull. 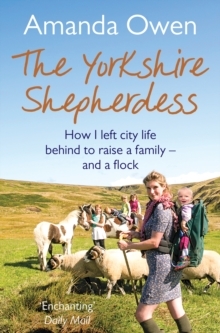 Funny, poignant and charming, A Year in the Life of the Yorkshire Shepherdess is a must for anyone interested in the countryside and those who farm it.